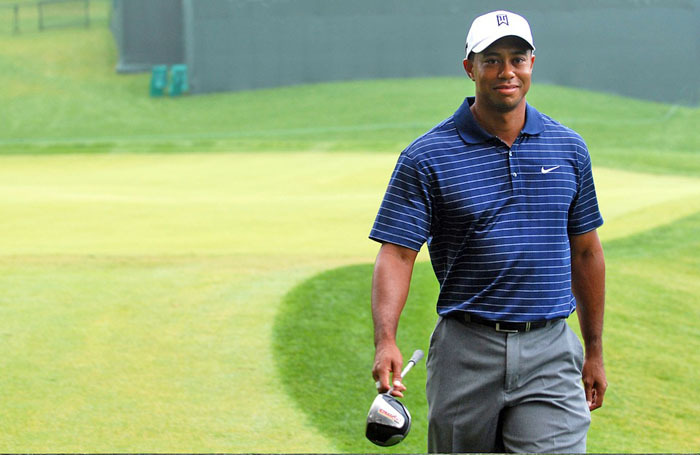 bio: Tiger is considered by many to be the greatest golfer of all time. He is the winner of 15 Majors (as of April 2019). In 2009 his extramarital affairs spectacularly became public knowledge, and since then it has been a battle for him to regain the respect of the sporting public. also known as: Tiger. He was nicknamed "Tiger" after a Vietnamese soldier who was a friend of his father in Vietnam. his parents are Earl and Kultida Woods. Tiger is their only child. His father Earl died in 2006. Tiger has two half-brothers, Earl Jr.(1955), Kevin (1957), and one half-sister Royce (1958) from the 18 year marriage of Earl Woods and his first wife, Barbara Woods Gary. Tiger was married to Elin Nordegren, a Swedish model. They married on October 5, 2004, and they have two children together. They divorced in 2010.
other interests: Tiger Woods Foundation, created to provide minority participation in golf and related activities. His father Earl Woods was half black, one-quarter American Indian and one-quarter Chinese. His mother Kultida is half Thai, one-quarter Chinese and one-quarter white. He refers to his ethnic make-up as Cablinasian (a portmanteau of Caucasian, Black, American-Indian, and Asian), a term he made up himself. Tiger putted against Bob Hope on the "Mike Douglas Show" at age 2, shot 48 for nine holes at age 3 and was featured in Golf Digest at age 5. Eldrick attended Western High School. He was a student at Stanford University, but dropped out to become a professional golfer in his junior year. He turned pro in 1996. His first tournament as a pro was on August 29, 1996 at the Greater Milwaukee Open, in which he tied for 60th place. His first win was the Los Vegas Invitational in which he defeated Davis Love III in sudden death. is Tiger the best ever? is Tiger still your hero? This popular sport has many variations, but what we all want to know is who wins the majors. Improve your game with information about the fitness, nutrition, physics and psychology of golf.